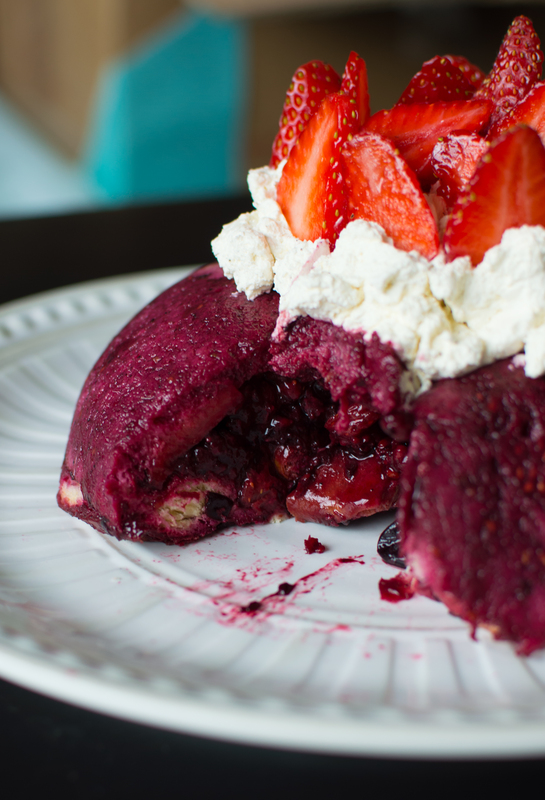 OK so I decided to try and entice Summer back to the Brighton shores by whipping up a traditional Berry Summer Pudding. The pudding turned out great, but unfortunately I can’t say the same for the weather! Have we really had our summer this year? I swear I blinked and it was gone! Anyway, lets talk pudding! So for a while I have been wanting to make a summer-esque pudding and as I was munching on some chocolate brioche I had a great idea. I wondered if you could substitute traditional white bread in a summer pudding for brioche. And do you know what? Turns out – you absolutely can! 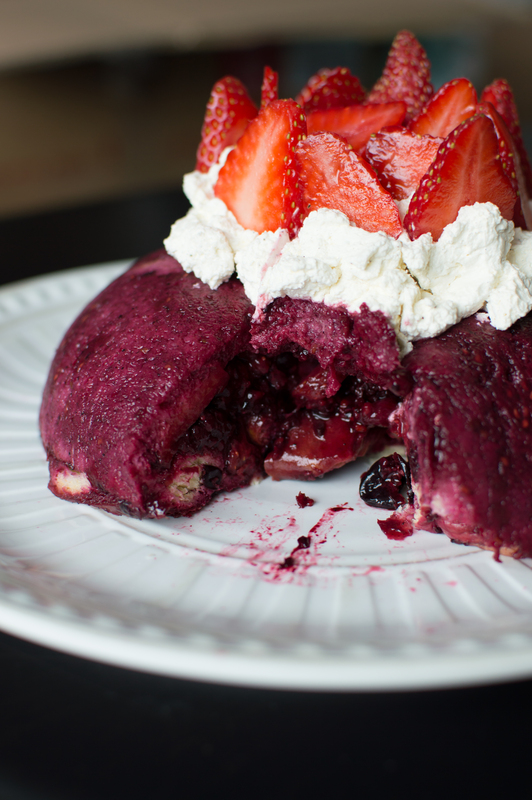 This berrylicious pudding is so easy to make and it is a real show stopper! In total you can whip this pudding up for about £4 – it will be cheaper if you make your own brioche! I saved lots of money by buying a pack of frozen mixed berries, and I saved time by buying a pre-made brioche loaf! I brought both at Tesco for under £4 (links in the recipe), this pudding serves around 6 so you are looking at under £1 per serving! Bargain! Now this does require chilling overnight, so do make sure that you give yourself enough time! I used a large 2 lt pudding bowl, but I think this would like equally as pretty in a large loaf tin! To serve: either whipped cream, or creme fraiche, or Greek yoghurt. A handful of fresh berries. Line your pudding bowl with cling film and set aside. Slice your brioche into 2cm thick slices. Remove the crust. Into a pan pour the stevia, vanilla powder and water. Add the frozen fruit and gently simmer until the fruit is softened. You should have a silky, vibrant red stew of fruit. Carefully take the brioche slices and dip one side into the fruit mixture. Be careful not to burn yourself. I used a mixture of tongs and spoons to do this. Ensuring the fruit-dipped side is facing outward, place the brioche into the pudding bowl. It is important that you have lined the bowl with clingfilm, as this will ensure the pudding comes out easily. Repeat the dipping and lining process until you have covered the entire inside of the bowl with the bread. Tear the brioche up to plug any gaps. Make sure you leave some brioche to cover the top of the pudding. Take your fresh sliced strawberries and arrange on the inside, dry side of the brioche slices, in the pudding bowl. Strain the fruit pieces from the liquid, set the liquid aside. Place the stewed fruit on top of the fresh, sliced strawberries. Take the remaining brioche use it to cover the top surface of the pudding – this will actually form the base. Ensure you place the bread so it covers the entire surface. Pour the remaining liquid over the entire surface. Cling film the entire bowl and chill in the fridge overnight. When you are ready to serve, remove the clingfilm and gently turn the pudding out onto a large serving plate. Serve with fresh cream and berries! And that’s it! 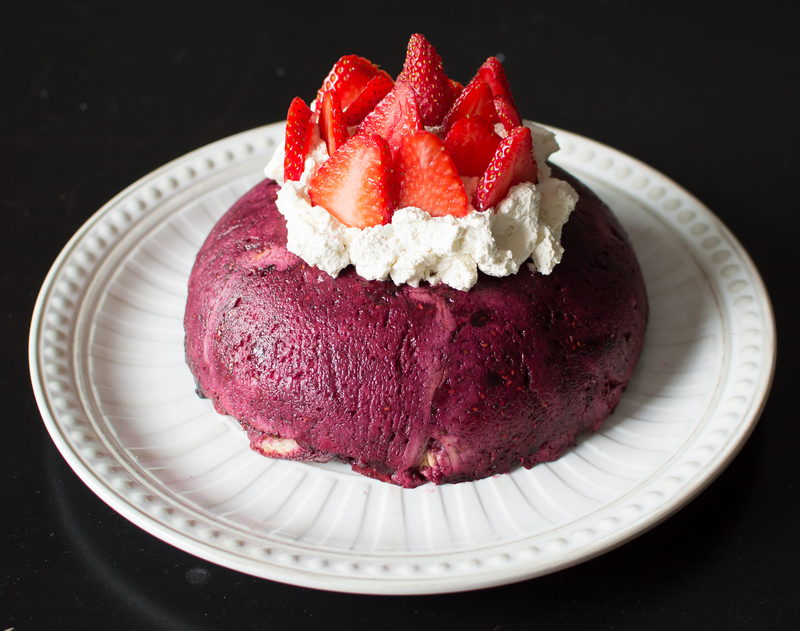 A beautiful summer pudding to cheer these rainy days! Just beautiful. I hope you enjoy this recipe – lets hope it brings back the sun! Posted on July 29, 2015 January 7, 2016 by TinaManahaiPosted in RecipeTagged 2015, dessert, frozen, fruit, Healthy, pudding, stevia, strawberries, summer. That is one gorgeous looking pudding! I bet it was delicious! Love the use of summer fruits! Thank you! It was really yummy! Summer berries are one of my most favourite things ever!